To judge from the film and literature of the time, it seems that social drinkers of the 1920s and ’30s (and, indeed, for much of the Twentieth Century) found it amusing to drink too much, wake up in the morning with a hangover, complain about the hangover, then drink some more to get rid of the hangover. This “hair of the dog” cliché supposedly helped to illuminate a character’s social standing, lifestyle and intelligence. The extent to which this artistic flourish represented the real world is open to question, but it seems that the concept of the “medicinal” morning-after drink was popular enough for real world bartenders to build a repertoire of what became known as “corpse revivers,” cocktails that their makers claimed would clear your head and stand you up properly. I suppose there were a zillion of them, but only a few have survived. The Prairie Oyster—grotesque, non-alcoholic, and undrinkable—survives as a literary joke that just won’t die; the Corpse Reviver No. 2 Cocktail—light, citrusy, and flavorful—carries on as a compelling and drinkable classic. The Corpse Reviver No. 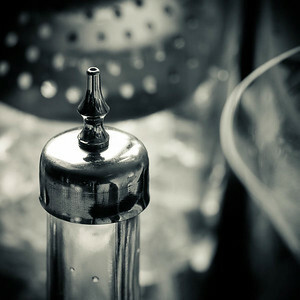 2 is an original, equal-parts recipe from Harry Craddock’s 1930 Savoy Cocktail Book . Light-bodied and refreshing, it is, I’m told, a nice way to introduce non-gin-drinkers to gin, or non-absinthe-drinkers to absinthe. I’m also told that it does not cure hangovers. Shake all ingredients with ice until cold; strain into a chilled cocktail stem. No garnish. The Corpse Reviver No. 2 is a fancy version of the gin sour. It is light and bright, dominated by the lemon juice, with the orange notes of the Cointreau playing a supporting role. The herbs of the gin, the absinthe, and the Lillet provide an offsetting roundness and depth. No, the aspirational concept of the “corpse reviver” is a crock. Which is a good thing, actually, because it liberates the Corpse Reviver No. 2 from the first aid kit, and puts it squarely back in the regular cocktail rotation where it belongs. “The Corpse Reviver No. 2 Cocktail — not just for breakfast anymore” at cold-glass.com : All text and photos © 2012 Douglas M. Ford. All rights reserved. Great pictures Doug! Thanks for the link. Any time. Glad you enjoyed the pix, thanks. This is the most elegant site. I feel I should sweep up my hair, don a long gown of bias-cut satin, and adorn my neck with diamonds when I read your posts. Thanks, Anne, what a pleasant compliment, and what a delightful mental image. I’m glad you enjoy Cold Glass. I agree, there’s a bit more room for gin in there. A matter of tastes, as you say; I suppose it depends on how junipery your gin is. 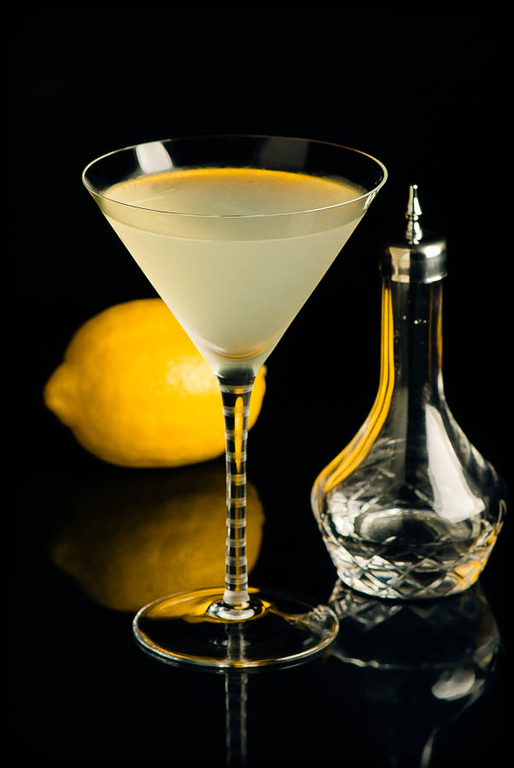 The Corpse Reviver family of drinks actually date back further, to around the mid 1800’s. The first time any recipes have been shown in print are Craddock’s book, and judging by the ingredients it’s fair to assume the #2 is no older than the turn of the century. Plus he’s the man so he can keep the credit. #1 is a decent drink if you have applejack (which we can’t get in Canada so use Calvados). I definitely agree on the Cocchi – this drink is good with Lillet but great with Cocchi. As for the gin, I find Bombay a little weak and perfume-y in flavour to cut through the other ingredients and usually reach for something with a stronger juniper and citrus hit like Tanqueray. I also love it with Martin Miller’s gin if you have it! I like that extra punchiness in the juniper end of Tanqueray, too, and I think it’s a great suggestion for the Corpse Reviver #2. Never tried it with Millers, I’ll do that one day. But wait—there’s no applejack in Canada? Geez. Well, you can’t feel too bad about subbing Calvados. There’s also no Cocchi up here, among many MANY other great products. We in Vancouver have to get by with smuggling certain items from Seattle and by getting a lot more creative. Also being rich helps because many products are taxed to no end (Carpano Antica, for example, is only available at private stores and it’s $80-90 per bottle… or Rittenhouse Bonded Rye is basically the only straight rye we can get here and it’s $50 per bottle). I shouldn’t get started. Very true what Craddock says! Love it. Cheers, my friend. I’ve been frustrated occasionally that I can’t get some of the spirits that seem to be readily available to Canadians—some of the Canadian whiskies come to mind—but no Rittenhouse? $80 Carpano? I need to be more thankful for the things I have. Thank you for the reminder. Nice one. I think it’s a great drink. I only recently discovered it myself. Yes, the CR#2 is another example of just how versatile gin can be, and how well it plays with other ingredients. As always, an interesting article and inspiring recipe. If I can add a bit of info regarding the hair of the dog tradition, and the whole hangover issue: most hangovers are a combination of dehydration & meningeal irritation around the brain. So yes, the best cure is staying well-hydrated, before, during & after drinking. However, there are other reasons hangovers after particularly heavy drinking sessions. For complex biochemical reasons that I won’t bore you with, the metabolism of ethanol results both in the production of somewhat toxic intermediates and it can potentially cause a drop in blood sugar. The latter can cause some hangover symptoms. More indirectly, the intermediates, together with some of the non-ethanol compounds in drinks, themselves need to be metabolised away into harmless substances. This takes some time and in the meantime the compounds produced can make you feel sick. For example, methanol is produced during fermentation and when metabolised, produces formaldehyde. Amusingly enough, adding regular ethanol to your body during this time works as an antidote to the toxins (technically, it acts as a competitive inhibitor slowing down methanol’s metabolisation thus diminishing the peak formaldehyde concentration in your bloodstream). P.P.S. Using ethanol (“alcohol”) to competitively inhibit poisoning from drinking industrial alcohols with methanol or from drinking similar compounds like antifreeze (ethylene glycol), is one of the few times that booze really does have medicinal value! There are other – more expensive – prescription drugs that work the same way, but in many parts of the world, ethanol is a legitimate part of a management plan for such patients! Meanwhile, thanks for adding a new dimension to the discussion. The CR No. 2 is a favorite of mine, as well, especially as an introductory cocktail — not just for gin, Lillet, and absinthe, but to what classic cocktails can be in general. Everyone that I’ve recommended it to has enjoyed it (professed non-cocktail-types included). I like Plymouth in the CR2, and I usually use an atomizer to spritz the glass with absinthe before pouring (seems to aerate and wake up the flavor a bit more — perfect for Sazeracs!). I had no idea when I wrote this up that there were so many Corpse Reviver No. 2 lovers out there. And vocal ones, at that! I agree, the CR#2 makes a delicious intro to the finer possibilities of cocktails.